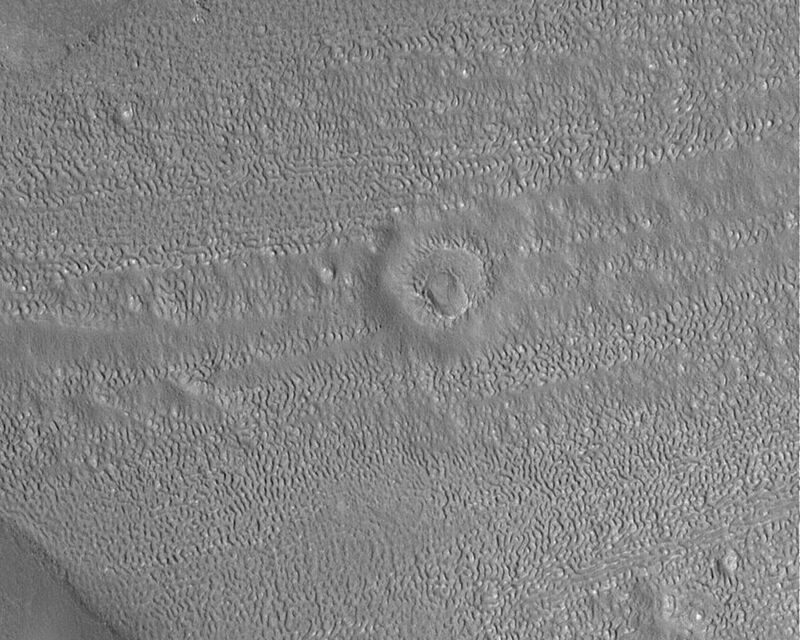 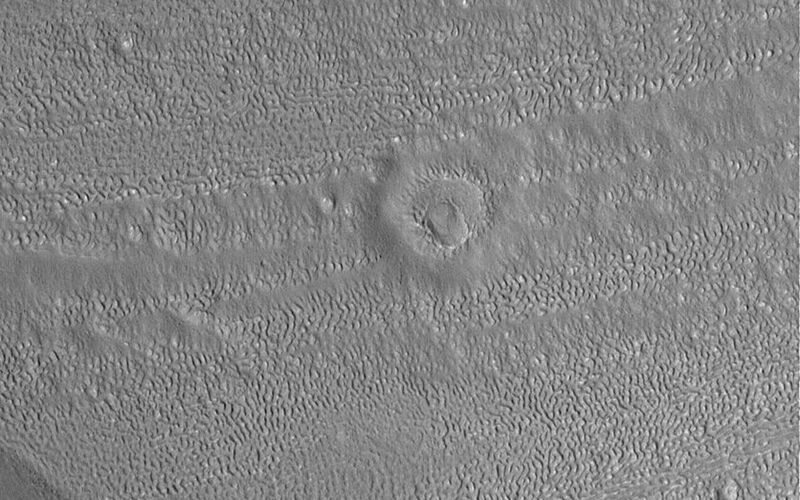 Near the center of this Mars Global Surveyor (MGS) Mars Orbiter Camera (MOC) image lies the degraded remnants of an old meteor impact crater. The terrain in which it occurs is a heavily eroded, north middle-latitude surface. 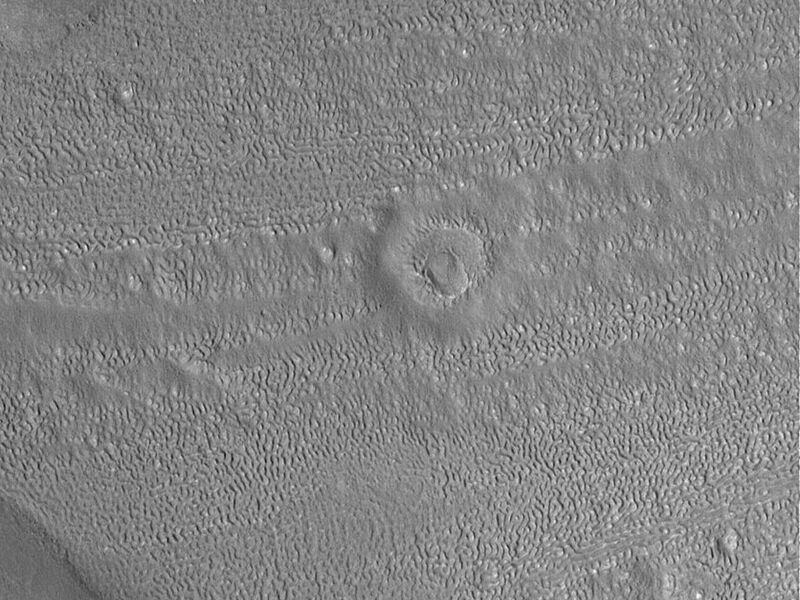 The image is located in the fretted terrains north of Arabia Terra near 41.3°N, 305.8°W. 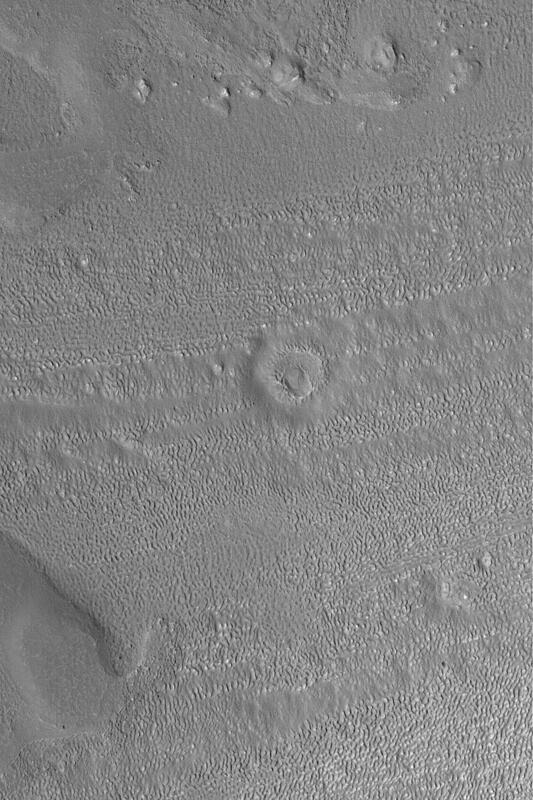 The image covers an area about 3 km (1.9 mi) wide and sunlight illuminates the scene from the lower left.